In a series of tweets, the income tax (I-T) department and finance ministry on Thursday clarified that proper investigation, followed by a strict action will be taken against the tax evaders who stashed away black money beyond the glare of tax and legal authorities, as suggested by the latest release of Panama Paper Leaks. As per a report in a section of media, more than 1.2 million fresh documents, of which about 12,000 are linked to Indians, have come to light. “The fresh release made in the media today under the ‘Panama Paper Leaks’ is being promptly looked into by the law enforcement agencies under the aegis of the MAG already constituted for facilitating coordinated and speedy investigation,” the Arun Jaitley-led finance ministry said in a release on Thursday. 1. The Panama Paper leaks were originally revealed by the International Consortium of Investigative Journalists (ICIJ), on April 4, 2016. On the same day, the Government of India constituted the Multi Agency Group (MAG), headed by Chairman, Central Board of Direct Taxes (CBDT) as its Convener. MAG also includes the representatives of the Income Tax Department, Enforcement Directorate (ED), Financial Intelligence Unit (FIU) and Reserve Bank of India (RBI). 2. The Panama Paper leaks involving 426 persons have been investigated by the Income Tax Department and other member agencies of multi-agency group (MAG). 3. The Income Tax (I-T) department, in November 2017, conducted searches at over 25 locations in Delhi and the National Capital Region in connection with its tax evasion probe into the Panama Papers leak cases. 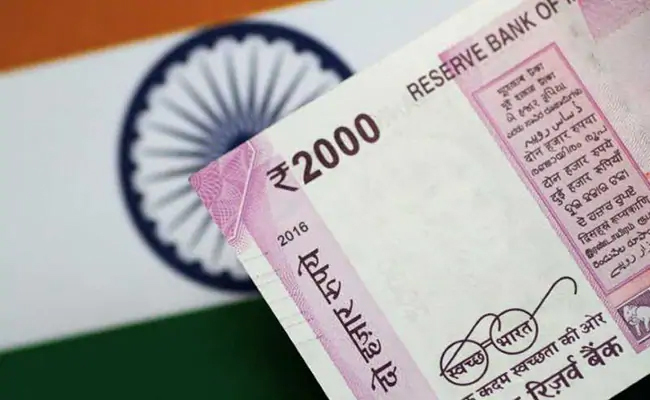 The Central Board of Direct Taxes (CBDT), had announced that the probe into the Panama Papers leak cases had led to the detection of undisclosed wealth of Rs. 792 crore and that the probe was on in “full swing”. However, the latest figure reportedly stands at Rs. 1,140 crore. The tax department slapped criminal charges under the new anti-black money law and launched fresh assessment of stashed offshore income against over half-a-dozen Indian entities in the list. 4. Fresh release made in the media under ‘Panama Paper Leaks’ is being promptly looked into by the Law Enforcement Agencies under the aegis of the MAG already constituted for facilitating coordinated and speedy investigation, reads the finance ministry tweet. 5. As per the standard operating procedures in place for investigating such cases, it includes examining the information revealed in the media release along with the disclosures made by the alleged persons in the Annual Returns of Income filed by them. 6. Disclosures made particularly in the Foreign Assets (FA) Schedule, Foreign Remittance details etc. will be undertaken expeditiously, followed by raising of relevant queries. Subsequently, investigations in appropriate cases would be carried-out to bring them to a logical conclusion, income tax department says in a tweet. 7. Since the database released by ICIJ did not contain any financial details or details of the beneficial ownership, these had to be sought from foreign jurisdictions under Tax treaties in most cases. 8. After thorough investigation, involving examination of disclosures made in ITRs particularly FA schedule, residential status, responses to questionnaires issued, responses received from foreign jurisdictions & details of foreign remittances made, 352 cases were found to be non-actionable. 9. In the 74 cases found actionable, invasive actions were taken in 62 cases with searches conducted in 50 cases, and surveys in 12 cases leading to detection of undisclosed foreign investments of about Rs.1140 crore. 10. In 16 cases, criminal prosecution complaints have been filed in jurisdictional courts which are at various stages of hearing. In 32 cases, notices under Section 10 of the Black Money Act have been issued, reads the income tax department tweet. Next articleHow to fix WhatsApp: Is WhatsApp down?